Atopic Dermatitis: A Modern Epidemic Because We’re Too Clean? The prevalence of atopic dermatitis (or eczema) is soaring, as are its related allergic disorders, asthma and hay fever (or allergic rhinitis). No one knows exactly why, but a popular theory blames our too healthy urban lifestyle – the so-called ‘hygiene hypothesis.’ We no longer live on farms. No longer are we exposed early in life to pathogen-enriched rural soils. Our babies have less contact with animals, and, with our smaller families, fewer siblings. The immunizations and antibiotics they receive protect them from many of the more severe childhood illnesses. Lacking exposure to infectious diseases, infants’ immune systems remain naïve and inexperienced. They react to foreign proteins –but in the ‘wrong’ way – and respond ‘allergically’ to antigen exposures – particularly if they have inherited some variations in their immune systems that tips them towards the pathway of allergic reactions. This is the view put forward by those who advocate for an allergic or immunologic basis for atopic dermatitis. In recent years, this view has been the dominant, if not sole, paradigm for understanding this common and vexing skin condition. But now, another notion of the disease is beginning to take hold. We and others have championed a skin barrier-driven, ‘outside-to-inside’ concept of atopic dermatitis. In this construct, something happening on the outside triggers inflammation inside the body, because an intrinsic defect in the skin barrier fails to keep these two domains apart. In other words, atopic dermatitis is a disease of the epidermal permeability barrier gone awry. ‘Antigens’ – molecules that can provoke an immune or allergic reaction – on the skin surface may derive from bacteria or other foreign materials found in our complex contemporary environment. These antigens might be effectively excluded by a normally competent skin barrier, but the impaired permeability barrier in atopic dermatitis allows them to penetrate into the skin. They gain access to deeper regions where the immune reactive cells reside. 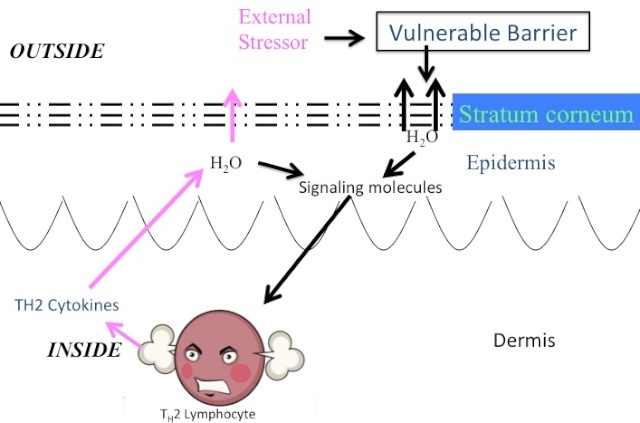 The immune cells then react in an ‘allergic’ manner and in so doing, unleash the inflammatory reaction that we call eczema or atopic dermatitis. 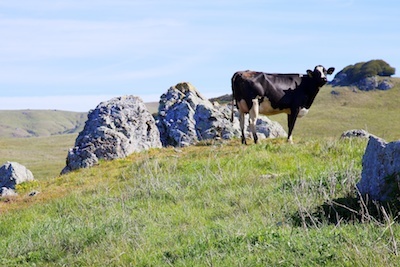 According to this view, a shift from rural to urban life may indeed underlie the modern epidemic of atopic dermatitis, but it is not simply through a lack of exposure to rural soil, farm animals and infectious disease. The culprit instead is our modern, urban life style. We often abuse our skin with over-frequent bathing. Or perhaps we use as-hot-as-can-be-tolerated water when we bathe and excessive quantities of harsh, alkaline soaps and detergents. These cleansing agents strip our natural oils from our skin, further weakening our skin barrier. In other words, its not that we no longer are dirty and disease ridden enough to tweak our immune system in the desired direction. Instead, we have become too clean– at least as far as our skin barrier is concerned. 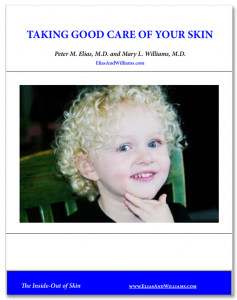 (For tips on how to bathe with minimal damage to your skin’s barrier, sign up to receive our free pamphlet “Taking Good Care of Your Skin”). We compound this hyper-cleanliness stress on the barrier, with other aspects of our modern lifestyle. We live in homes where dust mites, a microscopic insect, thrive on a diet of shed skin cells filtering down into our mattresses and pillows. Cockroaches also deposit their antigens in many of our homes and city apartments. Our indoor environment is desiccated by the forced-air heating we employ during the cold winter months. All of this may not be a problem if we inherited genes for a strong skin barrier, but if we have inherited genes for atopic dermatitis, our modern life-style can pose a problem. 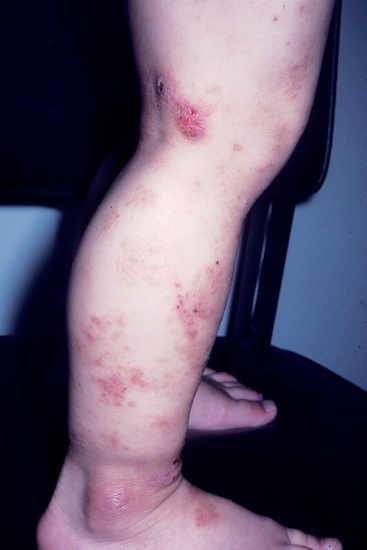 In our next article in this series, we look at the genes that underlie atopic dermatitis.